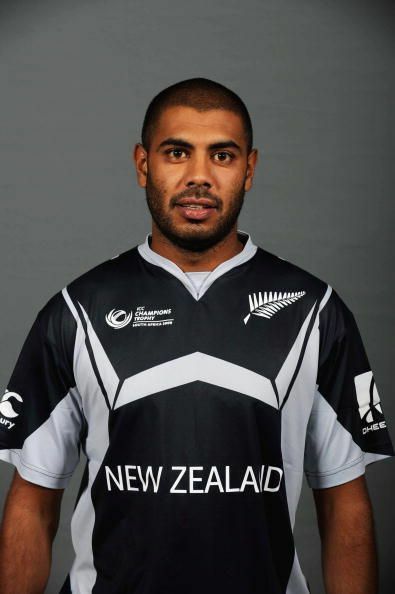 Jeetan Patel is a former cricketer from New Zealand, born on 7 May 1980 in Wellington. Primarily a right-arm off-spin bowler, he was a part of the New Zealand squad for ICC ODI World Cup 2007. Patel played for the U-15, U-17 and U-19 age groups in Wellington. He later played for the Wellington senior side too. Patel was in the XI for New Zealand Cricket Academy’s match against England A. He then became a part of the Buckingham Town Cricket Club. In the 2004-05 season, he ended up taking 26 wickets. Patel was also a part of the New Zealand A team and performed well against teams like South Africa A and Sri Lanka A.
Patel made his international debut as a ‘super-sub’ against Zimbabwe on 31 August 2005. He took 1/47 in his nine overs as they defeated Zimbabwe by 27 runs. He continued his form for the Kiwis but could not be the best in the team. He made his T20I debut 2 months later on 21 October 2005 against South Africa (SA). SA were restricted to 133 as the Kiwis managed to chase the target with two overs to spare. Patel took 3/20 and received the Man of the Match award. His form dipped since then and never again manage to take 3 wickets in an innings. Jeetan’s Test debut came next year in April 2006 against South Africa again. In the first innings, he provided very good support to the centurion James Franklin. His score of 27 not-out helped New Zealand reach 593/8. In South Africa’s innings, he bowled 42 overs and took 3/117. The game ended in a draw as only two innings were completed in the match. Since January 2008, Patel picked up only nine wickets in 12 matches. He was dropped from the ODI team in October 2009 after some poor performances against England, West Indies, Bangladesh, Australia, and India. Patel has been playing for the Wellington Club since 1999. He has 731 First Class wickets to his name from 254 matches. In County cricket, he played for Warwickshire in 2009, and then again since 2011.In 2014, he picked 185 wickets for them. In 2016, he topped the highest wicket-takers list and also won the Most Valuable Player of the Year by the Professional Cricketers Association. Patel has taken 65 wickets in 24 Test matches at an average of 47.35. He took one 5-wicket haul. His best bowling figures are 5/110. In ODIs, he took 49 wickets in 43 matches. His bowling average is 34.51 and best bowling figures are 3/11. In T20Is, Patel has scalped 16 wickets in 11 matches. His bowling average is 16.81 in the format. His best bowling figures are 3/20. Jeetan Patel announced his retirement from international cricket on 22 June 2017. He continues to play for Wellington club in New Zealand and for Warwickshire in County cricket.